An Intradeco spinning mill and Panasonic Corporation, two companies committed to environmental conservation, have joined forces in a mega project in El Salvador. They are working together to create clean energy from sunlight using photovoltaic panels Panasonic installed at the Hilcasa and Intradesa factory. Both companies are committed to reducing CO2 emissions and investing in clean energy sources. This project had the companies install solar panels on the roof of a manufacturing facility to gather energy from the sun. The installation of the 4,028-panel system, which generates over 1MW, was completed on September 25th. The expected annual generation of Phase 1 of installation is 1.75GWh, equivalent to a reduction of 551 tons of CO2. The second phase of this project is expected to involve the installation of 1,680 panels, which would provide an additional 436KW for the Hilcasa factory. This represents 0.85GWh per year, reducing CO2 emissions by another 267 tons per year. Furthermore, sister companies also plan installations of 3,884 panels. This project is expected to be positioned on roof surfaces to generate a total of 976KW. This would reduce CO2 emissions by up to 257 tons a year. 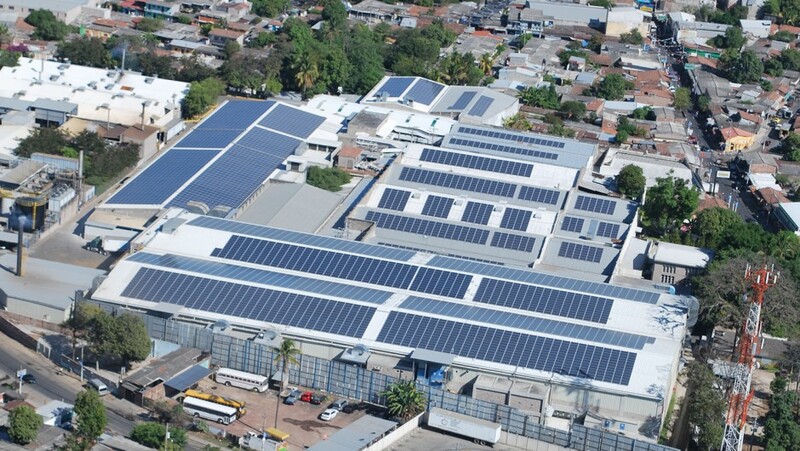 The Intradesa system will generate about 1.68 GWh per year. This strong investment shows the commitment and forward-looking vision of Intradesa and Panasonic to implement action for the good of the planet. Meanwhile we can say that he already contributed with 61 articles. Intradeco earns REPREVE® Champions of Sustainability for its manufacturing practices. With strategic offices located in the U.S. and Central America, along with various partners worldwide, we have an established global presence and respected name in our industry. Copyright © 2015 Intradeco Inc. All rights reserved.